From April 22 - 27, 2009 Anna Barons is participating at the Salone Internazionale del Mobile interior design fair in Milan, jointly with the Italian interior producer Formitalia, in the exhibition stand No. D11 - D15, Pavilion 1. 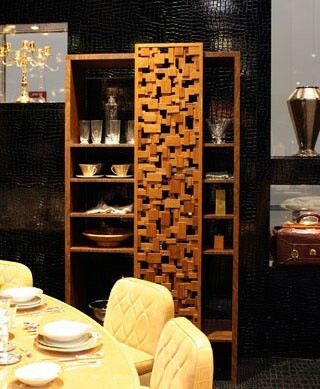 Anna Barons is showcasing samples of the Natural Living collection, accentuated by the rare wood material river-aged black oak, simultaneously to be exhibited at the 100x100 Design srl showroom (Via Telemaco Signorini 9, close to Piazza Firenze) throughout 2009.